"One Voice," "Yesterday Once More," "Top of the World," "Arthur's Theme," "I've Got That Boogie Fever," "Anything You Can Do." Singing has the power to make the heart tremble. If voices are overlapped to produce a harmony, a wonderful world emerges... 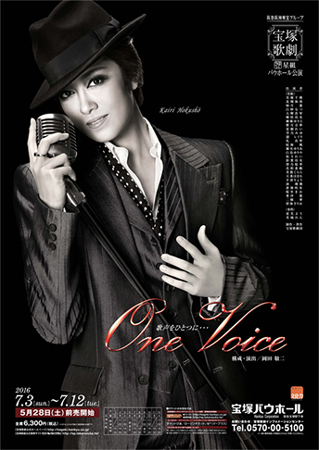 This will feature Hokushou Kairi, whose singing emits a colorful range of brilliance. Drawing from that charm, the voices of selected members will also be shown off on this vocal-centric stage. Created by taelle. Last Modification: Monday 25 of February, 2019 06:38:52 PST by caithion.